With USEPA SBIR Phase II program support, MixZon Inc has developed an aerial remote sensing system for monitoring water quality at site scales. We have demonstrated the ability of our platform to obtain geo-referenced water quality data from point source mixing zones. Our tethered balloon aerial remote sensing platform measures mixing zone properties and focuses on temperature as a dilution tracer. The temperature tracer can also be used as an indicator of other water quality parameters within the mixing zone such as BOD, coliforms, dissolved metals, etc..
We have successfully developed, implemented, deployed and verified an easily deployable remote sensing platform that gathers continuous, real-time, site scale, geo-referenced mixing zone data for NATIONAL POLLUTION DISCHARGE ELIMINATION SYSTEM (NPDES) regulatory compliance, Endangered Species Act (ESA) habitat assessment, and hydrodynamic mixing zone simulation model validation. 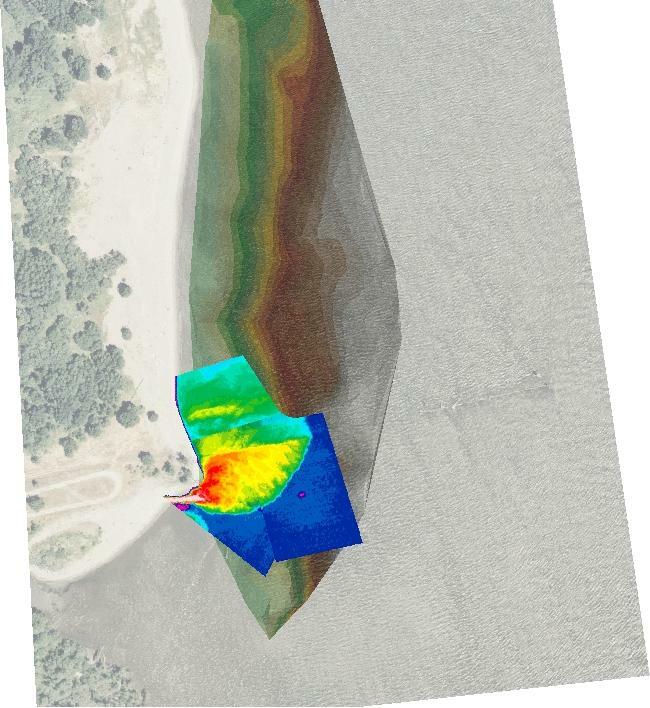 Our capabilities in aerial remote sensing combined with our state-of-the-art sonar for velocimetry and bathymetry surveys, allows us to perform CORMIX model validation and/or calibration for single port, multiport diffuser, and surface discharge sources. 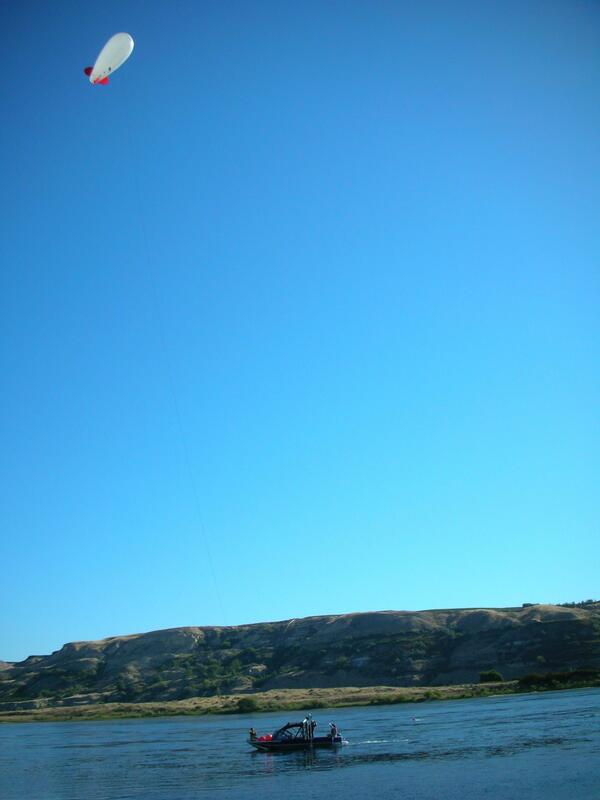 Our patent-pending aerial remote sensing platform uses a tethered helium balloon to collect mixing zone water quality data in real time. 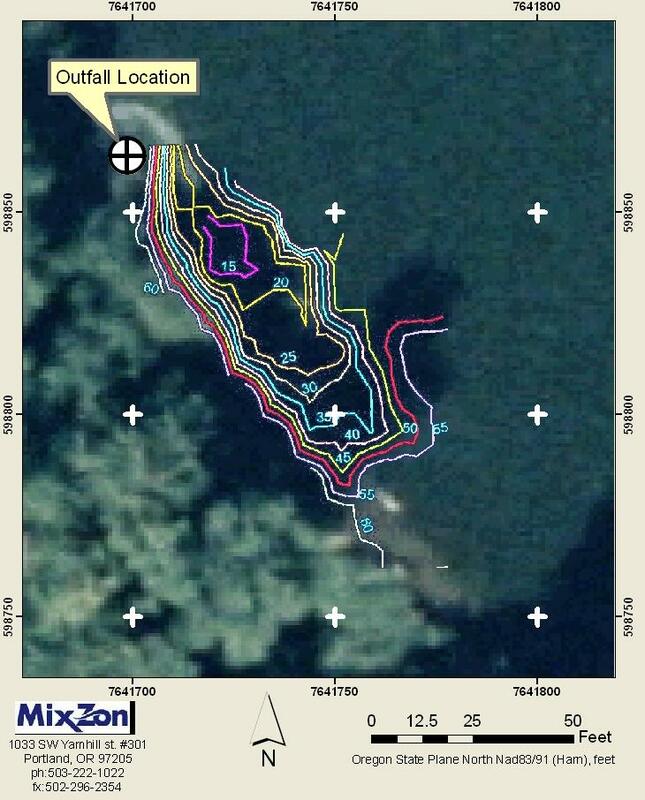 MixZon Inc uses GIS to analyze and present data collected from remote sensing and ADCP sonar surveys. In conjunction with our CORMIX modeling provides we provide comprehensive NPDES permit compliance monitoring. This geo-referenced image from our remote sensing platform shows a mixing zone of a municipal wastewater discharge which creates a large upstream (west) density current. CORMIX modeling suggested an alternating diffuser while NPDES permit information indicated a unidirectional design. Inspection with an acoustic camera confirms CORMIX model selection as an alternating diffuser design with upstream density current. ZoneView® software (custom developed in-house) provides images tagged with GPS lat/long location, ambient air temperature and humidity, distance to target, platform heading, pitch, roll. Our remote sensing platform provides geo-referenced thermal and visual image data to the ground station in real time. MixZon offers state-of-the art mixing zone studies for NPDES permit compliance. In addition to our aerial remote sensing, MixZon has the experience and capability to perform comprehensive dye tracer studies. Our submersible sensor platform includes an array of sensors, including CTD (conductivity, temperature, depth), turbidity, and fluorometer (Rhodamine-WT). Rhodamine-WT is a fluorescent, non-toxic, uv stable, water-soluble, biodegradable tracer dye that can be accurately measured in extremely small concentrations, down to 0.1 parts per billion (ppb). All our sensor platforms are integrated with differential GPS for sub-meter positional accuracy. 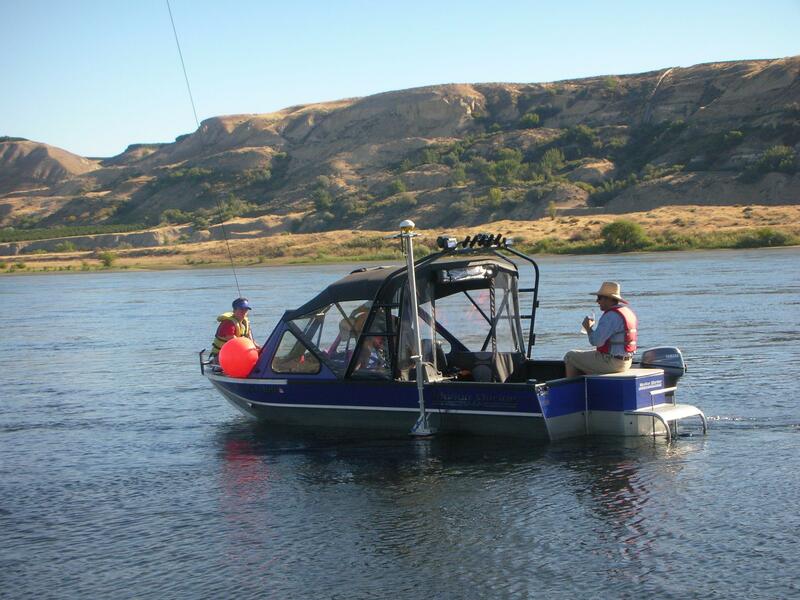 Plume dilution monitoring is enhanced by conducting a detailed bathymetry and velocity survey with our boat-mounted or towed ADCP (Acoustic Doppler Current Profiler). We also have conducted several successful mixing zone studies integrating monitoring data from our aerial remote sensing platform and submersible platforms. 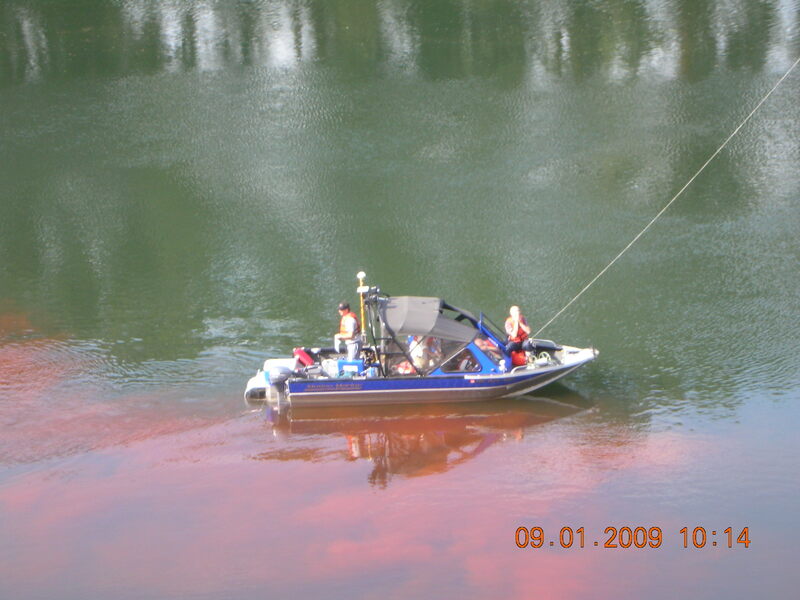 An integrated dye study with aerial remote sensing and dye dilution measurements in progress. Minimum dilution contours - based on data from a field dilution study. ZoneView® - Aerial Remote Sensing platforms (FLIR A320, IQEYE 703), digital compass (x,y,z), laser rangefinder, temperature/humidity sensors. Flexible deployment of our ADCP sonar by our 20-ft Jet Boat or towed raft collects data from large lakes and rivers to small streams. All field data is tagged with DGPS lat/long coordinates for analysis and presentation with ArcView GIS. Motion Marine 20-ft Jet Sled with ADCP and Acoustic Camera mount for riverine deployment. Cataraft (20-ft and 8-ft) or Pelican 8E boat for sensor deployment in small streams. Ocean Sciences Riverboat (shallow water/small channel towed raft ADCP deployment). Trimble Nomad - hand-held field computer for GPS and CTD/Flourometer submersible sensor data acquisition. FMI QBGMB-Q2CSY dye injection pump. Our ADCP sonar and survey-grade DGPS can be deployed from our jet boat or towed raft giving us "go anywhere" capability with sub-meter accuracy. ADCP sonar and survey-grade DGPS deployed from our Riverboat. 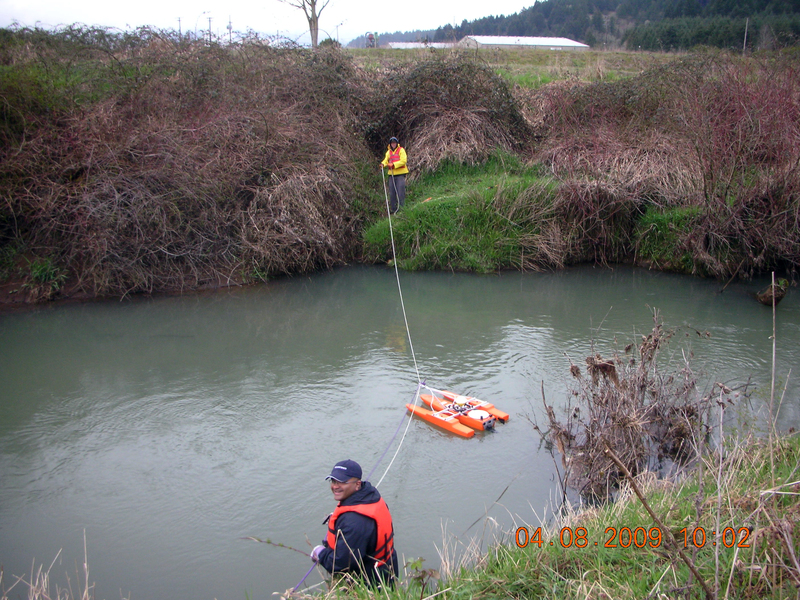 MixZon Inc has successfully deployed the DIDSON acoustic camera to conduct outfall inspection. 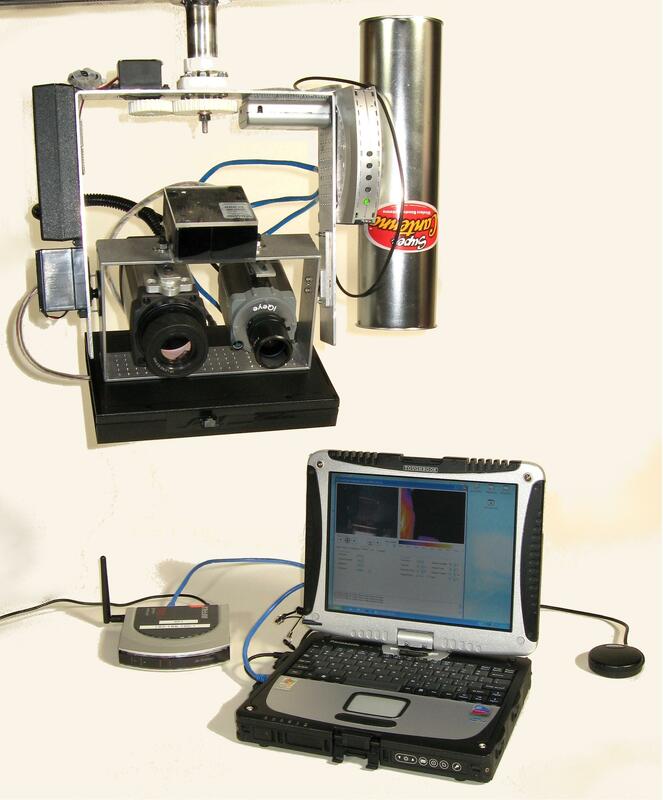 This technique can produce high quality video images in highly turbid environments. Outfall inspection using this technique can be a cost effective option for infrastructure maintenance and NPDES permit compliance. 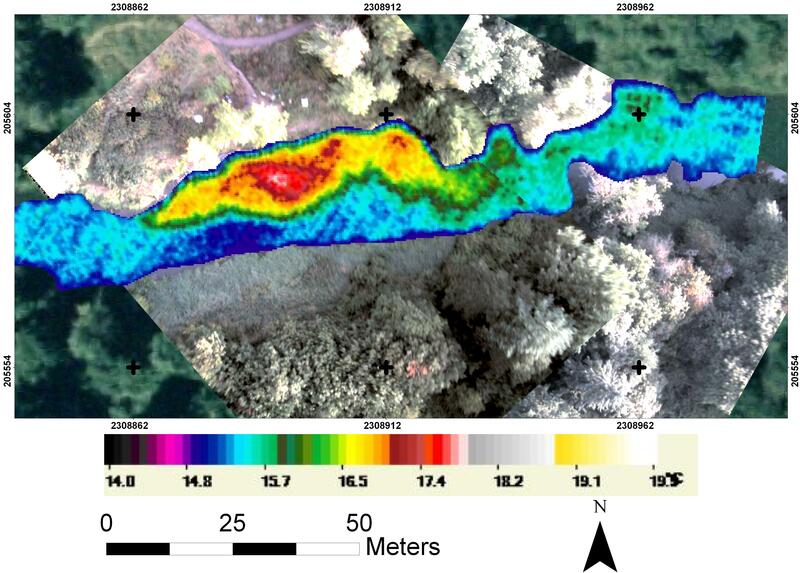 Contact us for details on outfall condition assessment using our advanced remote sensing techniques. This sonar video shows several ports of a multiport diffuser.